What Are Ceramic Vape Coils? Technical advancement in the vaping industry is a march that never ends, and one of the areas in which we’ve seen the greatest advancement is in wick materials. Vaping product manufacturers are using better cotton than ever. Some manufacturers are experimenting with alternative materials such as flax fiber and wood pulp. Still others are experimenting with ceramic. Ceramic is one of the most interesting wick materials to hit the vaping industry in a while, and it’s really started to reach a critical mass in popularity over the past year or two – but not in the e-liquid vaping industry. What are ceramic vape coils, and where are they really making an impact? Let’s learn more. The first thing to know is that when someone uses the phrase “ceramic coil,” they’re not actually talking about the heating wire itself. As with all other vaping coils, the heating wire in a ceramic coil is made from kanthal or another metal/alloy. Rather, a ceramic coil is a vaping coil that uses ceramic rather than cotton as its wick material. While ceramic might seem solid, it’s actually porous; oily liquids can seep through it. In a moment, I’ll discuss why someone might want to use a coil with a ceramic wick. First, though, I’ll discuss the different types of ceramic wicks that are available. What Are the Different Types of Ceramic Wicks? 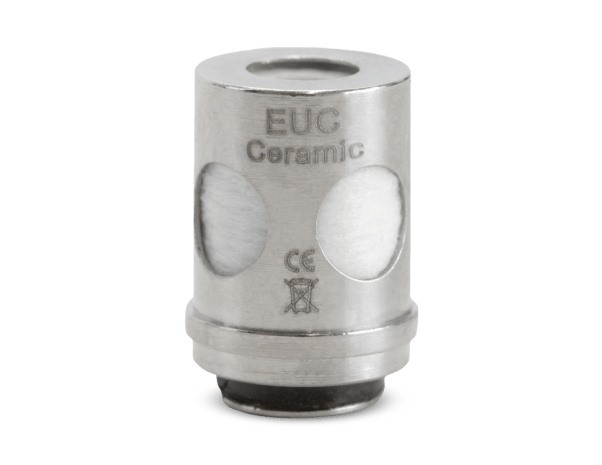 Ceramic that’s useful to the vaping industry can be produced in two different ways. 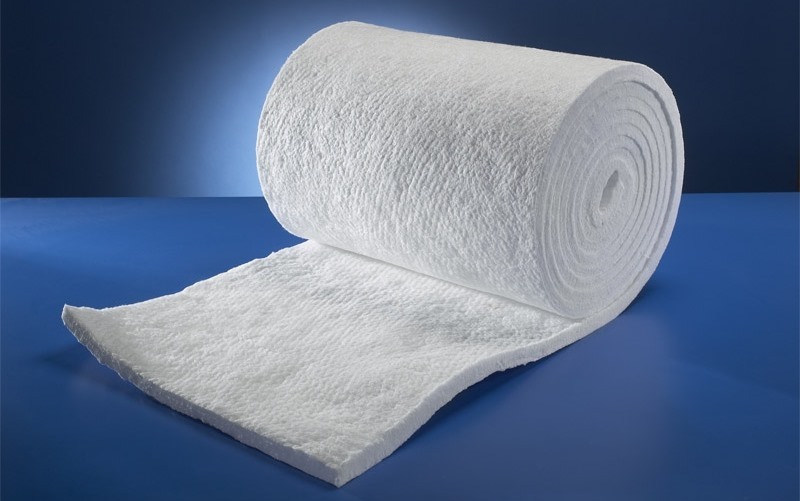 One method involves spinning the molten material so that it dries as a soft fiber. The process is a bit like making cotton candy; you can change hard sugar crystals into soft, fluffy candy if you melt those crystals and spin them in a cotton candy machine. You can braid ceramic fibers to create a rope, or you can make the ceramic fiber into a sort of blanket and wrap the blanket around a heating coil. The second method for building a ceramic wick is by using sintered ceramic. In this method, you take a liquid mix and pour it into a mold to harden. Sintering is a process that uses heat and pressure to create a very solid final product. A sintered ceramic wick basically looks like a hard, white shell around a heating coil. In some cases, the ceramic might be poured around the heating wire to create a product in which the ceramic wick and the heating wire are almost bonded together. Although it may not appear so on the surface, a sintered ceramic wick is full of microscopic pores. The pores allow e-liquid to travel through the wick and reach the heating coil. So, why should you care about ceramic wicks for vaping? Let’s learn more about their benefits and drawbacks. As you likely already know, cotton is the most popular wick material for vaping by a wide margin. Cotton works very well in sub-ohm vaping scenarios, and most people agree that it produces a good flavor. Cotton is a compromise as a material for vaping, though, because it isn’t particularly resistant to heat. Cotton will burn if it’s dry. A few people also disagree that a cotton wick produces an acceptable flavor for vaping. Some people actually use terms like “burning t-shirt” to describe the flavor that you get when you vape with a cotton wick; flavor is subjective! If ceramic wicks are so much better than cotton wicks, why haven’t they really caught on in the world of e-liquid vaping? The reason is because the wicking action of ceramic isn’t as quick as that of cotton; cotton simply moves liquid more efficiently. Ceramic vaping coils from companies such as Vaporesso and Atom Vapes were briefly popular at the beginning of the sub-ohm vaping era. During those days, the typical pre-built coil for a vaping tank had a resistance around 0.5 ohm and operated at a much lower wattage than many of today’s pre-built coils. Even with those relatively modest specifications, you couldn’t chain vape with a ceramic coil; you had to wait between puffs for the wick to absorb e-liquid from the tank. More recently, the typical resistance of a sub-ohm tank coil has moved toward the 0.15-0.20-ohm range. More than ever, people are vaping at or near 100 watts. If a ceramic coil has trouble getting up at 30 watts, there’s no way that you’ll have a good experience at 100 watts. With one of today’s high-output vaping coils, a ceramic wick would produce dry hits galore. Ceramic wicks have pretty much come to the end of their usefulness for sub-ohm vaping – but they’ve found new life elsewhere. As you’re likely aware, the cannabis/CBD vaping industry has come a long way over the past several years. As more liquid- and oil-based THC and CBD products have become available, the cannabis vaping industry has taken more and more design cues from the e-liquid vaping industry. The ceramic wick is the latest development to catch hold in cannabis vaping, and companies like HZC Vapor are taking the ceramic wick to new heights with innovations such as Turbo Permeate Technology. Why are ceramic vape coils perfect for cannabis vaping? It’s because, for the most part, people who vape THC and CBD products aren’t concerned about blowing huge clouds. In fact, they’d rather vape discreetly. They’re far more concerned about consistent dosages, smooth flavor and avoiding dry hits. When you’re vaping at a lower temperature – and you’re not chain vaping – a ceramic wick is an absolutely perfect fit. Although ceramic wicks never fully caught hold in the e-liquid vaping industry, it seems likely that they’ll end up dominating in the THC/CBD vaping industry.